Where Can the Tattoos Go? Sister Tattoo: Finding a quality sister tattoo is easy to do when a good plan for getting such tattoos ready is organized. This includes knowing what the tattoos should look like and how they will be placed on each sister’s body. Sisters have strong bonds with one another. That show that they always care for each other. And will do anything for one another. 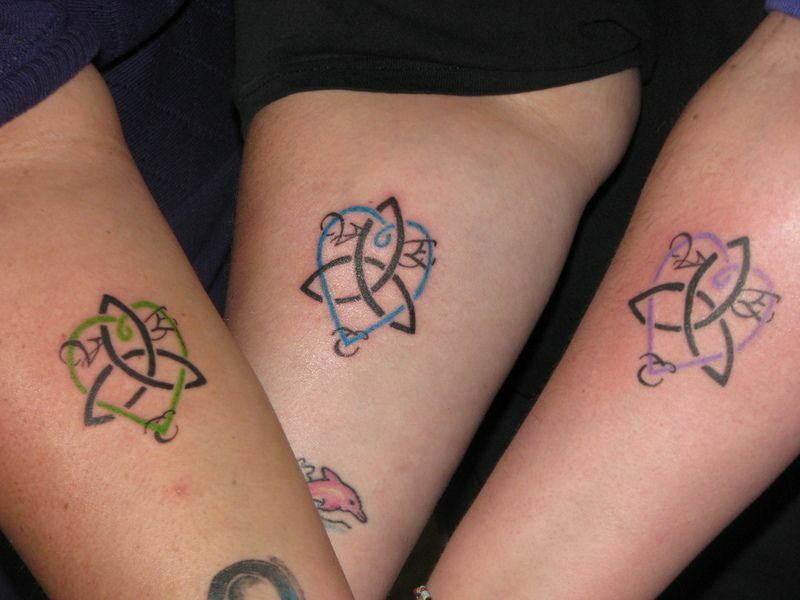 It is no surprise that many sisters will get matching sister tattoos to show their appreciation for one another. And to symbolize the links that they have towards each other. But it does help to look at the ideas that can be utilized when looking to get a great unique sister tattoos. 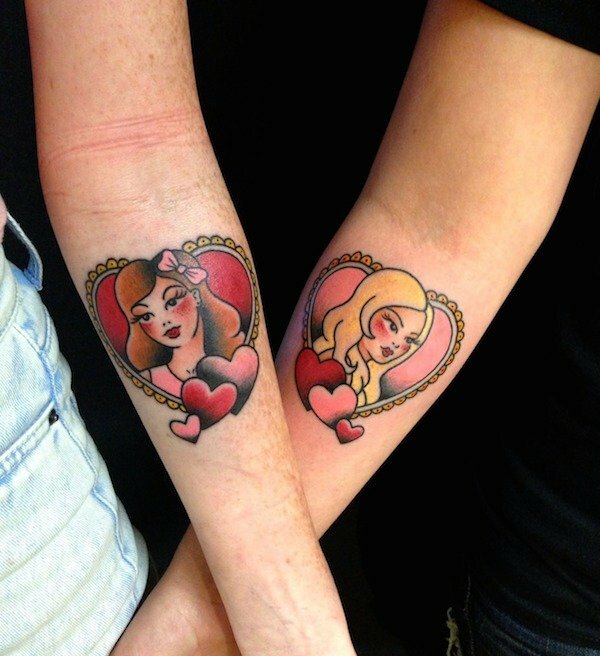 One great design to see when looking for sister tattoos entails having matching illustrations. A hand signal that symbolizes one’s love might be used by both sisters. Placing these matching illustrations on the same parts of the body is also great as this encourages a sense of unity and connection that will last for years to come. A slight variation can be used on one of these tattoos to create a distinct appearance or simply to tell someone apart. 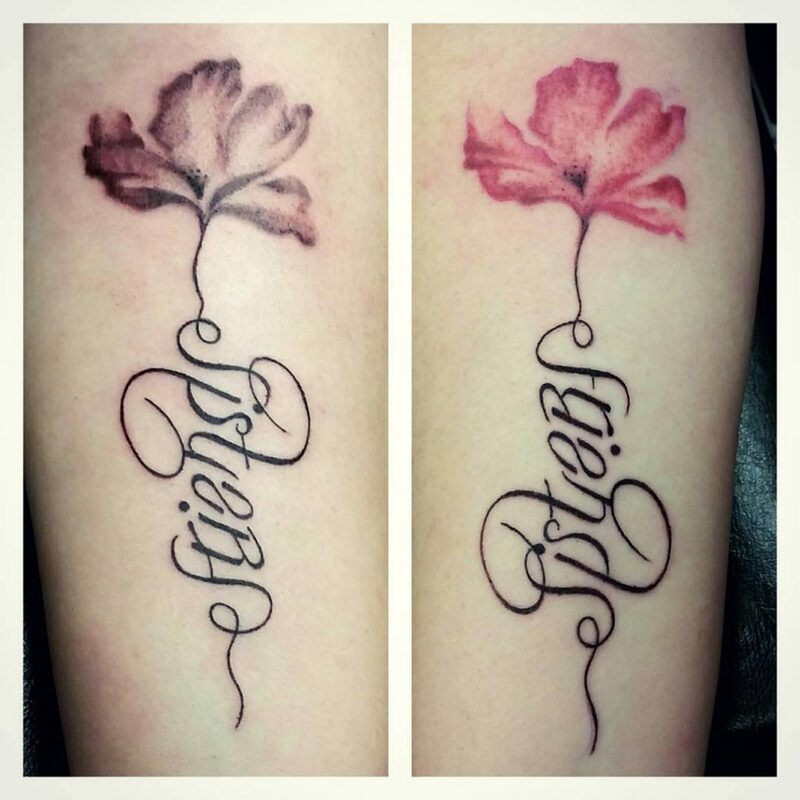 This might entail one sister having a tattoo that features a flower in a certain color while the other sister has her own flower tattoo that looks similar but has a different color. Flower tattoos and other options with nice designs added to them can add a beautiful appearance that any person is bound to love sporting. 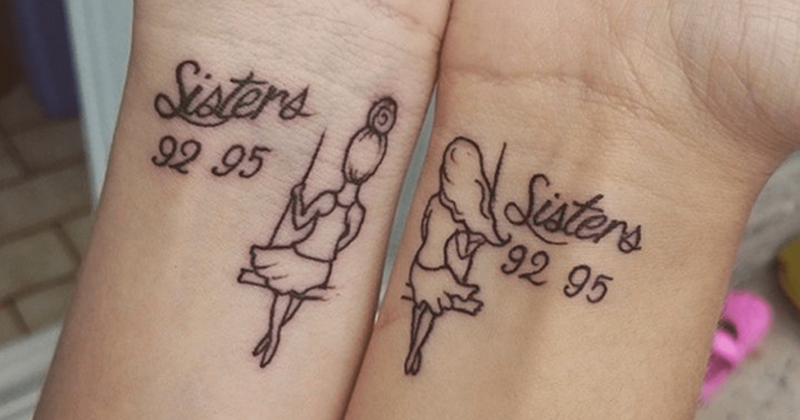 Great sibling tattoos might include ones that illustrate the age difference between two sisters. An older one might have a “big sis” tattoo while the younger has a “little sis” one. This is nice for showing how positive two sisters might be towards one another. These tattoos can also be accentuated with things like the birth dates of the two sisters, thus adding a special personalized look that adds a nice touch all the way through. Some quote-oriented tattoos are great to have. A good quotation tattoo might entail two parts where each sister completes the entire quote when their tattoos are paired together. There is also the option to have the same quote provided that the two sisters both live by the words listed. Some of the best tattoos for brothers and sisters entail constellations. These are tattoos where a person’s birth constellation might be listed. One sister whose sign is Aries could have the constellation for that symbol tattoos on her hand or foot. Her sister with the Libra sign could have that constellation applied on the same body part or other areas of the body. One of these constellation-themed tattoos can show one’s background and illustrate a strong bond between sisters as they both reflect to the great attitudes they have in their lives. Sun and moon tattoos have been very popular over the years thanks to how they focus on the celestial bodies that many sisters feel they are controlled by. An older sister might have a sun tattoo while the younger one has the moon. These can be colored in perfectly to add a more illustrative look. Puzzle piece tattoos symbolize how two sisters can link up together to complete a full bond. Each sister can have her own piece with the two designed to link up to one another if used right. 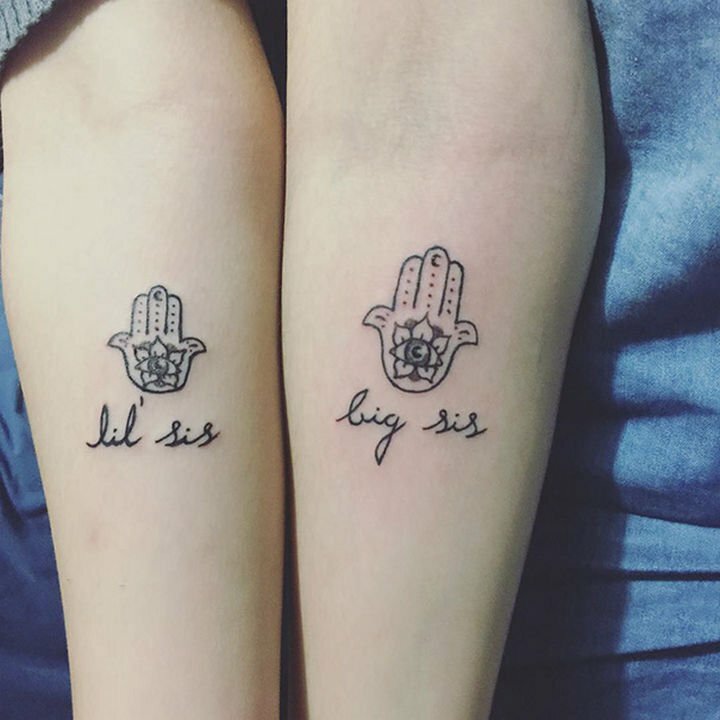 Such unique sister tattoos will add a beautiful appearance that two sisters are bound to appreciate and love showing off. What Can Butterfly Tattoos Feature? 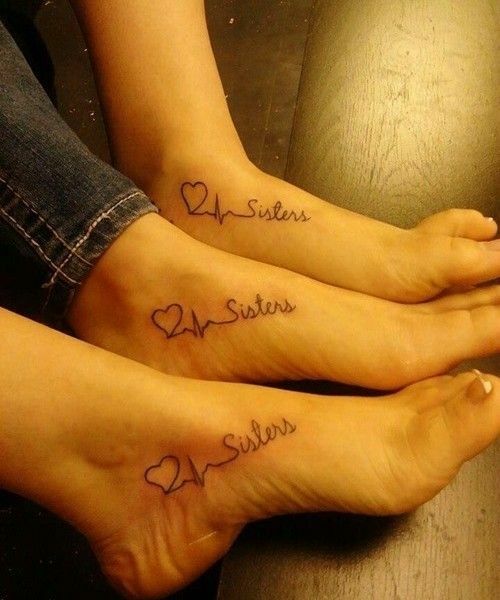 Heart tattoos have long been popular for how they show the love that sisters have for one another. The way how a heart can be designed is worth checking out. Sometimes a tattoo idea might entail a simple heart shape with a basic color. In other cases, it might involve many lines of ink that link up with one another to produce a more elaborate appearance all the way through. This kind of tattoo adds a beautiful appearance that shows the connection two sisters hold with one another. An infinity tattoo is a simple option that features an infinity symbol. But what makes this particularly worthwhile is that the tattoo can come with some extra accents. A feather or wing accent might be added to show that a sister is willing to be a guardian angel for her sibling forever. 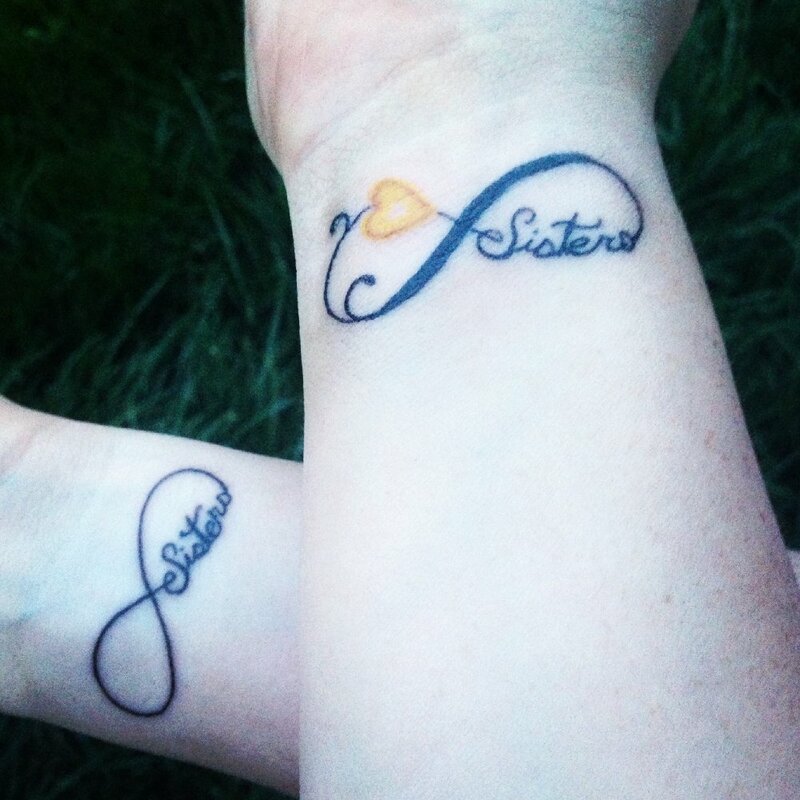 Each sister can have one’s own unique accents added onto an infinity tattoo to show one’s love and appreciation for someone. The last thing to see entails a focus on where these unique tattoo ideas can go. They can go on one’s shoulder, foot, hand or wrist among other spots. But the sisters getting their cute sister tattoos should at least look at where they feel the tattoos will look their best at and that they are comfortable with the designs they are opting for. Sisters who agree on a certain design all the way through will surely be happy with the tattoos they are getting. Each of these options for a sister tattoo are worth taking a look at. 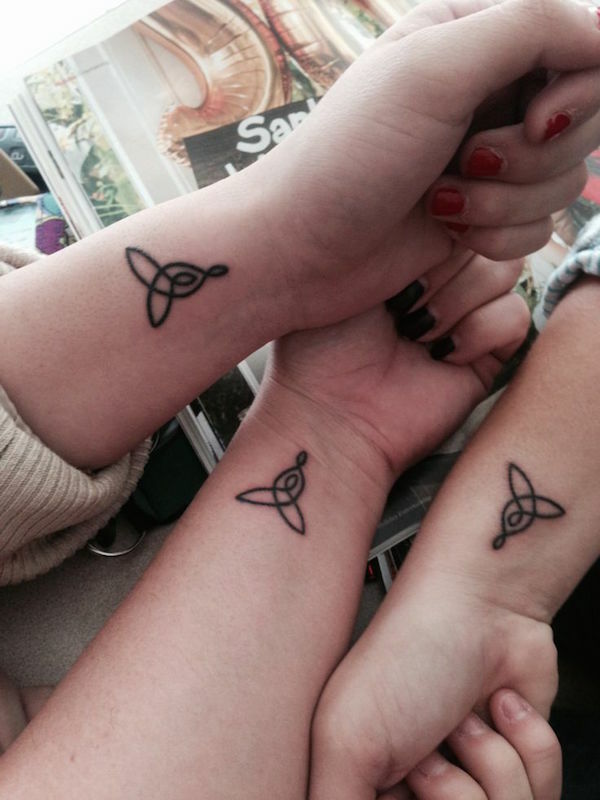 The best tattoos symbolize the connection that sisters have with one another. The options highlighted here are all worth taking a look at thanks to how they symbolize the link that two sisters have with one another and how valuable it truly is.